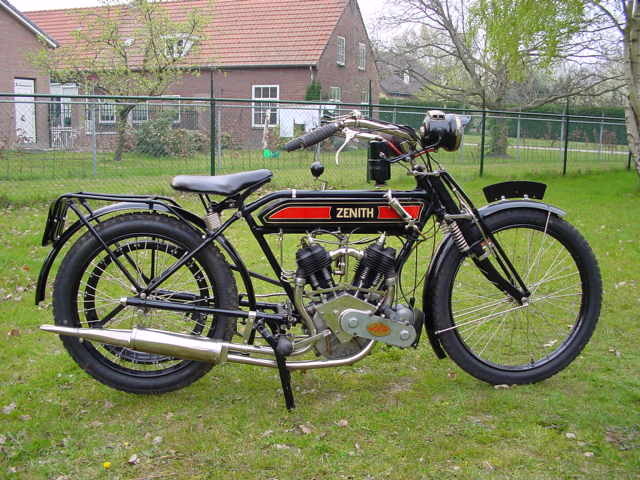 Zenith machines were manufactured from 1904 till 1950, in a variety of factories in or around London. 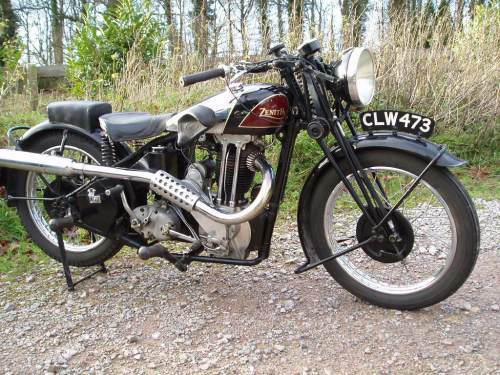 From the early days proprietary engines were used, such as Fafnir, Green-Precision, JAP, Bradshaw and Villiers. 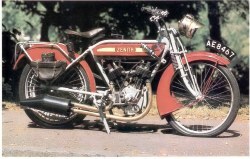 Tle latter engines were used in most models from the thirties. 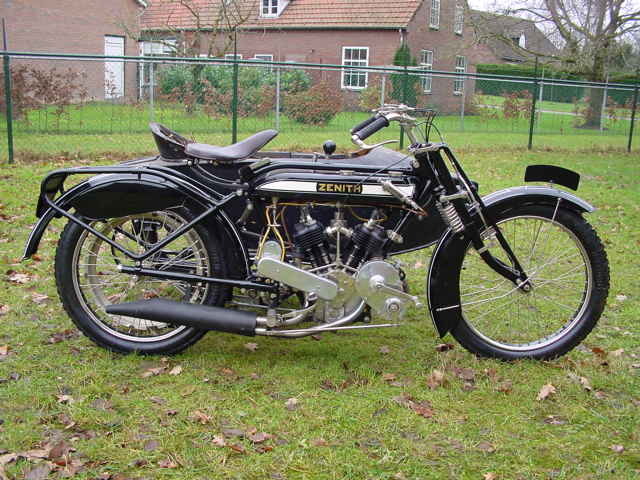 In pre WW1 days Zenith machines gained many successes; driving force was chief Engineer Freddy Barnes, who was responsible for the famous Gradua gear. 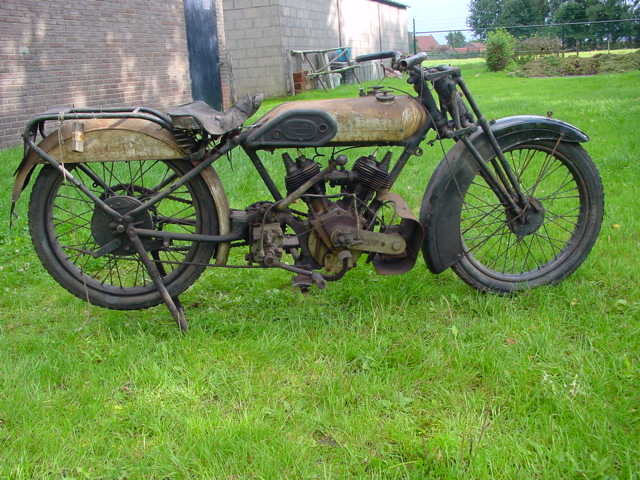 The mechanics of the Gradua gear were a variable engine pulley worked by a handle, with simultaneous correction of the belt length made by sliding the rear wheel backwards or forwards in the fork slots. 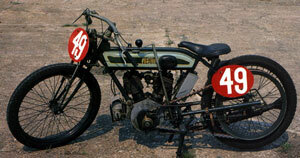 Its advantage showed itself most effectively in speed hill climbs. 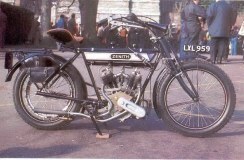 The Zenith rider could change during the journey up while the other competitors had to make do with a single choice of gear ratio. Rival riders and manufacturers thought that this was an unfair advantage so many leading clubs barred Gradua gear Zeniths from their hill climbs. Zenith was quick to recognize the publicity value and took the word barred as their trademark.